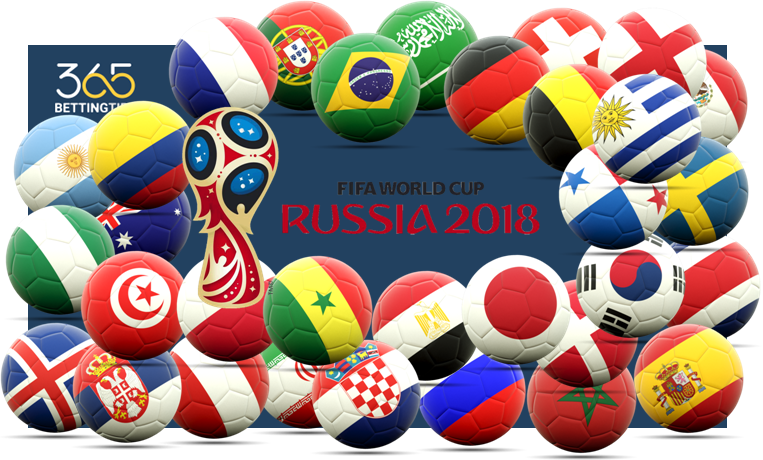 In the lead-up to the FIFA World Cup 2018, the bookmakers offer a variety of bets on the title winner, a number of team’s points and their finishing position in the groups. The outright bets are becoming extremely popular nowadays and it is better to place them in advance. Certainly, a lot can change within next month, and we do not have enough information so far to make any bold assertions, but on the other hand, when such information becomes available, the odds can change and lose their value. Furthermore, let us not forget that such tournaments are always unpredictable and you still will not know about the players` readiness, coaches` plans or their strategy and tactics. You could have carefully analyzed the situation and teams` strength in 2004, but you could hardly imagine that the Greece national team will shockingly become the winner of the Euros! Now just try to remember what you were thinking when you analyzed Group D at the previous World Cup in 2014? Who will be the best in the quartet – England or Italy? Or, maybe, the first place will be sensationally occupied by Uruguay? Probably you have considered different options, but still could not imagine that Costa Rica would win the group stage, and Italians left in the basket, while England would be the last… Football is an unpredictable game, and at such tournament, as World Cup, sensations happen at every step along the way. That is why you should hardly expect that the more information you own, the better your bets will be. The bookmakers, unlike you, do not look for sensation and do not try to predict it. 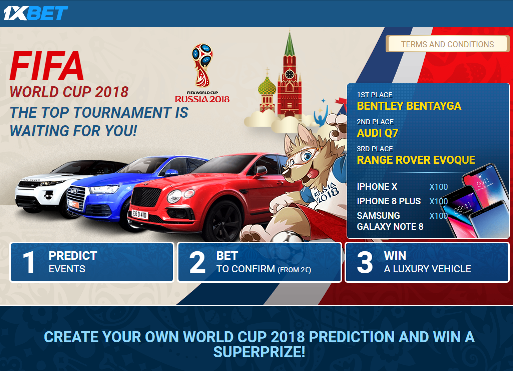 And if after the first round, they will be able to estimate the teams` strength and offer ‘correct odds’ for the next games, then they offer World Cup Outright bets, building solely on the general and available information, such as latest results, number of star players, big-named head coach, past achievements in this tournament or just a FIFA rating. However, they leave no room for sensation! In their betting lines, you did not see Greece among the candidates for the title or Costa Rica as the winner of the group stage? In fact, the betting sites are rarely right in such cases, and their favourites do not win the group and do not win the title! 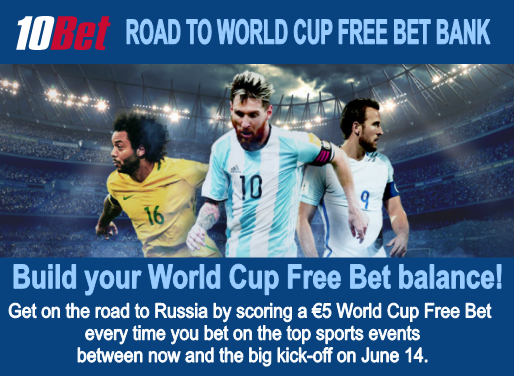 If you are going to earn on World Cup 2018 Outright bets, then you need to think outside the box. 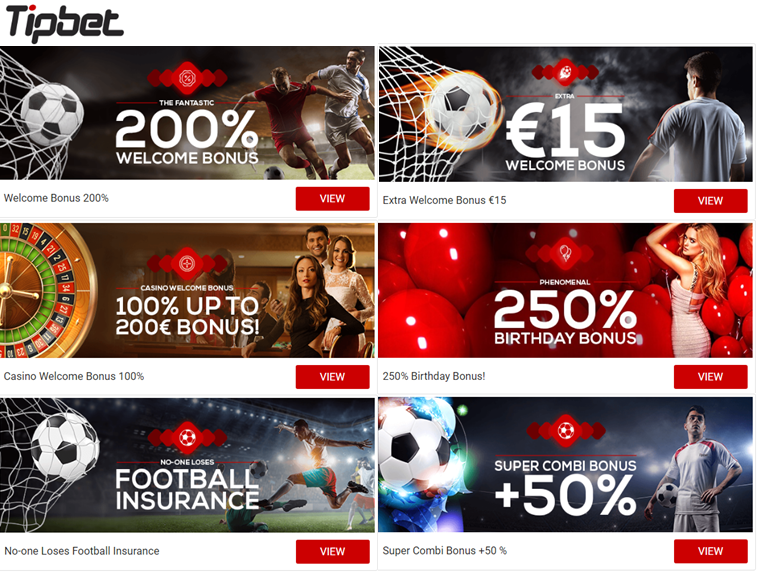 Let us try to find nice bets on upcoming football festival in Russia! Betting Tip: Group A. 3th place: Russia @ 3.80 with Bet now! The Sky Blue should not have any problems with qualifying from group A, in fact, even the second place seems unlikely. 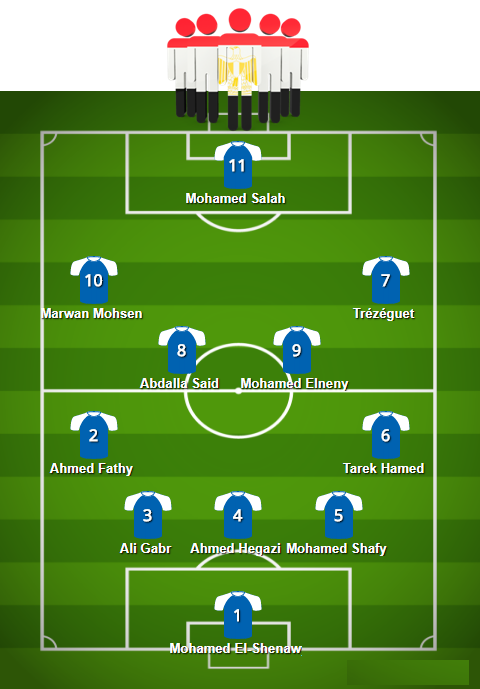 The team has a convenient schedule – they can secure a ticket to the playoffs in the first two meetings, because Egypt and Saudi Arabia are the rivals that must be defeated. But even if Suarez and Co. will have some unforeseen difficulties, then in the last game, they can count on points against Russia and play with the hosts based on the situation in the standings. It is hard to believe that their rivals` defence could stop swift-footed Cavani and Suarez, while it is unnecessary to say that Uruguayans` head coach is a brilliant tactician, and Cherchesov or even experienced Cuper could not outwork him. Betting Tip: Group A. 1th place: Uruguay @ 1.96 with Bet now! Egypt is able to present surprises in Russia. The team has no star players except stunning Salah, but that did not stop them from becoming the second in Africa Cup of Nations in 2017. The Pharaohs under the leadership of Hector Cuper turned into a disciplined team that can punish any rival in counter-attack. Given that Saudi Arabia and Russia could use defensive tactic, then in the meetings of these teams draws or wins with a low score are possible, which probably makes the Egyptians favourite in games with such tactic. The Pharaohs begin a group stage against Uruguay and if they fail, they will have to play next game to win. It is quite possible to see their win over the Green Falcons and draw with Russia, so the chances of getting into the playoffs seem quite good, at least they are definitely above 30%, which offered by bookmakers. Betting Tip: Group A. 2nd place: Egypt @ 3.40 Bet now! The Green Falcons qualified for the World Cup, taking second place in their group after Japan and ahead of Australia due to better goal difference, while we have not seen good football from this team. Saudi Arabia is a clear outsider of Group A, which is likely to take the last place and bookmakers agree with that fact, because they estimate probability of this event as 80%. The Saudi Arabia has played in three World Cups (1998, 2002 and 2006), and predictably has been poorly handled with their task, losing seven of nine matches with a goal difference of 4-26. In 2002, they have lost all three games in the group stage and not scored a single goal. Given the strength of Uruguay and the fact that Russia and Egypt will play defensive football, Saudi Arabia probably will not score a single goal again. Mohammad Al-Sahlawi scored almost half of all the team’s goals, so the Green Falcons` rivals will just need to “neutralize” this player. – Saudi Arabia @ 10.00 with Bet now! In 2016, Selecao became the triumphant of the European Championship, showing a very boring and pragmatic, but still effective football. It is difficult to judge about the prospects for the Portuguese, hardly the team will go far, but, of course, there should not be problems with getting to playoff! Cristiano and Co are obliged to take 6 points in matches with outsiders of the quartet and secured a second place. The schedule is convenient, because in the first meeting Selecao will cross the swords with arch-rival and favorite of Group B, Spain. More importantly, the weakest side (Iran) will be the last enemy and it is unlikely that the Portuguese will misfire in such a game. Of course, we can expect any surprises from Portugal, but it is unlikely that they will get three points against the Spaniards, which means, even in the case of draw in the first game and next two wins, they would need to have a better goal difference than Spain to become the first and given the manner playing of this team, it seems unlikely, so the second place is a bet! Betting Tip: Group B Straight Forecasts – Spain / Portugal @ 2.00 with Bet now! Overwhelming favourite of group and one of the title contenders should take first place in quartet B. When the best players of such clubs as Barcelona and Real Madrid are coming onto the field, it is hard to imagine opposition from Iranian or Moroccan footballers… The only challenge for Furia Roja will be Portugal, however, one game has apparently not effected chances of getting into the playoffs. Despite failed previous European Championship and World Cup, do not expect another misfire from the team with probably one of the strongest squads in the world. Furia Roja has conceded only three goals in 10 qualifying games. Most likely, we will see impregnable defence once again and, as a result, no more than one conceded goal in the group stage. The Spaniards definitely will not have problems in the last two games, but no one will risk – they will beat Portugal at the start of the campaign. Betting Tip: Spain To Win All Group Games @ 2.80 with Bet now! Morocco qualified for World Cup for the first time since 1986, when they became the first African national team, which managed to pass the group stage in this tournament. 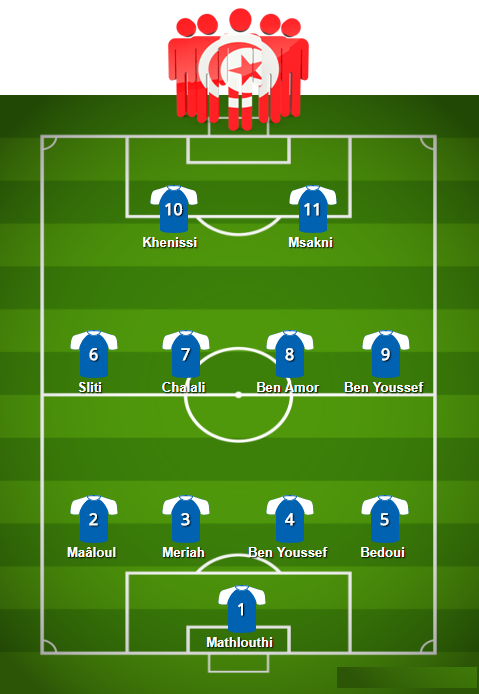 Morocco has an experienced squad, although most of the footballers play in the average European clubs. Nevertheless, the main trump card of the Atlas Lions is their head coach Herve Renard, who became a real specialist in African teams, having managed to lead Zambia and Côte d’Ivoire to triumph in the Africa Cup of Nations in 2012 and 2015. Of course, the chances for a playoff are small, most likely, they simply do not exist, but still the Atlas Lions are capable to beat Iran, as well as to concede fewer goals than their main rival for the third place. Betting Tip: Group B. 3rd place: Morocco @ 2.40 with Bet now! Princes of Persia are clear outsider of Group B, the Iranians were not lucky with final draw, because this is worst-case scenario – to get such rivals as Portugal and Spain… There will a big competition between these two favourites, so the only possible point for Persians is a game against Morocco, but the African team is much stronger now, so the Iranians` chances of win in the first match are low. It is unlikely that Princes of Persia set a goal to reach playoffs; the main thing for this team is just to play as successfully as possible, that is, to avoid hammering in games against favourites. Anyway, the Iranians will bet on defensive football. The Persians` key force is their Portuguese coach Carlos Queiroz, who had enormous experience! Queiroz led Portugal national team, Sporting and Real Madrid and always knew how to put a strong defensive play. Under his guidance on the last World Cup, Iran has managed to keep a clean sheet against Nigeria and offer battle to Argentina, which has managed to win thanks to Messi with a goal on 91 minutes. Iran will take the last place in Group B, but will avoid thumping. Betting Tip: Group B: Iran Under 1.5 Points @ 1.763 with Bet now! Looking at the Tri-colours` squad you just forget to breathe! With such players, they should think about the chances of gold medal, but not about what place they will get in Group C. France often disappointed their fans in the group stage, but this time there should not be any difficulties – all rivals are much weaker and the Blues seem to be absolute favourites. The schedule is convenient as France begin with the weakest side in the quartet and finish with the most dangerous rival. Starting two games should bring six points and salt all questions about playoffs away. It might be that the last game against Denmark will turn into a formality and both teams will be satisfied with one point. As for starting game against the Australians, then earning three points is unlikely to be a problem, however, we should not expect high-scoring clash. Peru knows well how to defend and will be happy with a draw against the heavyweight. On that basis, it is not entirely clear to whom France will score many goals; also, it is hard to believe that the pragmatic Frenchmen will be able to score two or more goals in each game. The bookmaker offers too big individual total of France. Betting Tip: Total Group Goals Scored France – Under 6.5 @ 1.40 with Bet now! The best result of Australia in the world cups is their performance in 2006, when Socceroos managed to get into the playoffs, where they lost to Italy as a result of very controversial penalty. Unfortunately, now Australia simply is not capable of such performance! In 2006, the great Guus Hiddink led the Australians, and players like Mark Bresciano, Mark Schwarzer and John Aloisi were dazzling on the field, now Tim Cahill is the only one who left from those ‘golden generation’. And the fact that 38-year-old striker is still the best player of this team speaks for itself. Socceroos had to get a ticket to Russia in the play-offs against Honduras and although they made it easy, Australia disappointed with their football in this qualifying round. Not surprisingly, Angelos Postecoglou was fired, and experienced Bert van Marwijk in 2018 led the team, who by that time brought Saudi Arabia national team to World Cup 2018. Perhaps this football genius will be able to patch things up for six months. The Australians got highly inconvenient schedule, because they will start against the French, and in the next game, they will have to fight with still motivated Denmark. No matter how things will go, the last game against Peru will definitely not be an easy walk also. Even if Socceroos will be able to pick up one point, that will be true success for them. Betting Tip: Group C: Australia Under 1.5 Points @ 2.10 with Bet now! Peru has had some impressive friendly matches on the eve of the World Cup, defeating Croatia and Iceland, but it is hardly worth considering these results seriously. The Incas looked poor in South America World Cup Qualification, and despite they bypassed Chile by better goal difference, Peru was remembered only for a weak play in defence, conceding in 15 of the 18 games. The Incas have not experienced any problems with New Zealand in the play-offs, but they still could not beat such poor rival on the road. The Incas will go to the World Cup for the first time since 1982, but they unlikely will be able to loudly announce themselves. Their schedule is hard, so two defeats from the start are quite likely. As for the last game against Australia, the Peruvians can hardly be called a clear favourite even in it. If a point tie with Socceroos will be in the end, most likely, the Australians will have better goal difference. Peru defence is more like a passing yard, which means that their chances to take only the fourth place in Group C are high, anyway, the bookmakers offer too generous price on that outcome. Betting Tip: Group C. 4th place: Peru @ 2.90 with Bet now! The Euros 1992 triumphant always unsuccessfully performed at the World Cups, breaking group stage barrier just three times in the history. It could hardly be said that current Denmark’s squad is capable of very much right now, also coaching talent of Age Hareide is questioned. The Norseman achieved success only with Molde, Rosenborg and Malmö, teams that were always leaders in their championships, and it was not so difficult to get trophies with them. It is quite a different story when it comes to success of the team, whose squad can be called average at best. Danish dynamite did not seem explosive in the WC qualification, having managed to defeat only the outsiders in the group, not including the single success against Poland. Nevertheless, the Danes demonstrated an excellent play on the defensive (which actually is not normally for them) and we all know – a leakproof defence can take you a long way in World Cups! There are clearly serious problems with attacking line, as Age Hareide has no good striker in the squad. Denmark is a pragmatic team and obviously will not give points to Australians and Peruvians, so that much would depend on the last game with France – and here, the sensation is quite possible! By the way, the biggest win of Denmark in the history was just over the French with a score of 17:1! If we had to seek a sensation in the group stage, then Danish dynamite is an option! Betting Tip: Group C. 1st place: Denmark @ 5.00 Bet now! Argentina is one of the most titled national teams in the world, for which, it seems, the best guarantee of success is the continent where the tournament is held. The Albiceleste has won World Cup twice, in Argentina and Mexico, also they played three times in the finals – in Uruguay, Brazil and Italy. As you can see, in Europe, this team has not achieved anything! Of course, now the Argentines are stronger than ever and rightly regarded as one of the main favourites in Russia. Messi and Co. are capable of crushing any opponent, however, this team makes such an impression only on paper when you look at big names in its squad. In fact, the Albiceleste qualified for the World Cup 2018 with great difficulties, taking only third place in the group, and came ahead of Peru (who had to play promotion playoffs) by only two points! At the same time, Argentina has scored least of all teams who qualified from South America, and won only 7 of the 18 games! No one would argue that Argentina has world-class players in every line, but still its attacking line has the right to be considered the strongest, nevertheless, this line does not work! It seems that the principle of ‘give the ball to Leo – he knows what to do’ does not work too! Sure thing, the first place in the group will not be a problem for the Albiceleste, but to score 5 goals to three rivals who perfectly know how to defend, sounds unlikely. Betting Tip: Total Group Goals Scored Argentina – Under 4.5 @ 1.75 with ) Bet now! Well, it’s done! Iceland goes to the World Cup! 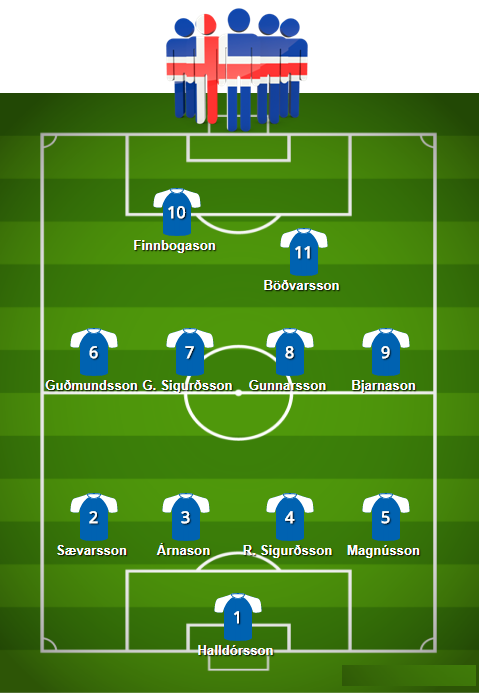 After a fantastic performance at the Euros 2016 under the leadership of Lars Lagerbök, his former assistant Heimir Hadlgrimsson takes ‘Our Boys’ to Russia to conquer new peaks and it seems the Icelanders are ready to challenge! The national team of picked only legionaries, already shocked everyone in France when not only easily get out of the group, but destroyed England in 1/8 finals, and then though lost to the hosts of Euros, but still scored two goals to them in the quarter-finals. Iceland confidently passed the WC 2018 qualification and is unlikely become flustered even in the face of such strong opponents as Croats and Argentines. The schedule and rivals for the northerners are such that they have no sense in playing for a draw or defensive football in any game. First of all, they must beat Nigeria if they want to progress from the group. Iceland will not be able to keep a clean sheet against the Croats and the Argentines, so they will have to attack. ‘Our Boys’ have never been afraid of anyone and has a unique ability to score 10 goals, having 11 shots on goal. Betting Tip: Total Group Goals Scored Iceland – Over 2.5 @ 1.60 Bet now! The Blazers started writing their history of appearances at the world cups in 1998 (before that, this team simply did not exist and we will leave all the previous successes to Yugoslavia) and immediately took bronze! Of course, now the Croats do not have ‘golden generation’, as then, but still this team is formed by world-class stars. Croatia confidently spent qualification, however, the Icelanders took the first place in Group I and now the Blazers have a chance to get revenge! Despite only two defeats in qualifying, the Croats surprised by a poor play in the attack, having scored more than one goal in only two of ten games. The team was able to score only three goals in four games against such weak rivals as Finland and Turkey, whose defence cannot be called safe… Zlatko Dalic had to draw conclusions and understand – to achieve success in Russia they need to play more aggressively! Dalic has Mandzukic, Kalinic, Perisic, Rakitic and Modric on hand – all these guys can not only create, but also score goals. The Blazers begin tournament against Nigeria and here we can count on at least two scored goals. Then there will be Argentina, to take points with this team without scoring is mission impossible. It is difficult to guess what the situation will be in this quartet by the last round, but we can be sure that game versus Iceland will be a crucial and, probably, high-scoring. Despite poor attacking record in qualifying, Croatia can surprise with goals in Russia. Betting Tip: Total Group Goals Scored Croatia – Over 3.5 @ 1.60 Bet now! Super Eagles have always successfully performed in World Cups, having managed to progress from the group in three out of four attempts, but in Russia it will be difficult to replicate these successes. Despite the fact that the team has a lot of experience and good players, the last years, Nigerians are weak, they could not even qualify into two last Africa Cup of Nations. It is worth noting that Super Eagles spent the World Cup 2018 qualification above all praises, winning all the games except one, while their rivals were strong. Nevertheless, the chances of success in Russia are small for simple reason that all their rivals in Group D are much stronger. In addition, coaching talents of Gernot Rohr does not exactly instill confidence, German manager has trained four African national teams over the past few years, but still has no experience of big tournaments. Perhaps Nigeria is able to gnaw out draw with Croatia or Iceland, but they will not be able to win any game. The bookmakers offer too much for their fiasco. Betting Tip: Group D. 4th place: Nigeria @ 2.40 Bet now! Brazil has spent South America World Cup Qualification fantastically, having lost only one game, and completed the qualifying round with a total score of 41:11. Certainly, the team’s main striking force is its offensive line, because almost half of the squad can easily convert a dangerous moment at the opponent’s goal. Hardly the goalkeeper’s position and defence can be ranked among the best in the world, but that never stopped this guys from winning. It makes no sense to assess the Brazilians` chances to progress from the group, the question on everyone’s mind, will they be able to win all three games? And let’s face it, they will do it, if they wanted to! Pentacampeons always played 100% in every game and never thought about saving energy. Given Brazil’s squad depth, even in the last game, without any motivation and the second team on the pitch, they can beat Serbia without any effort! Betting Tip: Group E: Brazil Over 7.5 Points @ 2.35 Bet now! Switzerland has reached 1/8 finals in three of the last four World Cups and it seems that the tournament in Russia will not be an exception. Of course, four years ago, Costa Rica shocked the world with their performance in Brazil, also Serbia is a tough nut to crack, but the Red Crusaders` fans got used to success of their team and the results of the WC qualification confirms the ambitions of this ‘small big’ team! The Swiss have won 9 out of 10 games in qualifying, having scored 23 and conceded only 7 goals. There are few world-class players in the team, however, they have talented and experienced performers in each line. Therefore, it is not at all surprising that their rivals never know where the ball comes from! If you look at the current lineups, it turns out that the Swiss forwards have scored 46 goals, while the midfielders managed to find the net 46 times also, and no matter how strange it sounded, this team’s defenders upset their colleagues with 22 goals! In this team, everyone knows how to score goals! Whatever the result will be in game against Brazil, it seems that Switzerland is obvious contender for the second place and the bookmakers offer too generous price on this outcome! Betting Tip: Group E. 2nd place: Switzerland @ 2.70 Bet now! Four years ago, Los Ticos became the most sensational team of the World Cup in Brazil, having managed to take the first place in the group with such rivals as Uruguay, Italy and England! In the quarterfinals, Costa Rica held the Dutch to a draw and lost by penalties… Of course, we cannot wait for one more triumph of this team, although Brian Ruiz can still do his job! It is hard to say anything about this team’s current strength. On the one hand, Los Ticos had convincing World Cup qualification, having twice defeated solid USA, but at the same time, they looked poor against such teams as Honduras and Trinidad and Tobago. Also Costa Ricans left a sad impression in the friendly games. It is unlikely that the Swiss will be able to secure a playoff after two rounds, as they start against Brazil, which means that the last game of group stage will be crucial, and Los Ticos can hardly be called the favourite in that match. The chances to get points against Celesao are also not good. There remains a duel against Serbia, but the chances are equal at best. Thus, we cannot ask for another sensation, Los Ticos is a clear outsider of the quartet E.
Betting Tip: Group E. 4th place: Costa Rica @ 1.88 Bet now! The Serbs did well in the WC qualification, having won their group (without strong opponents in it) and lost only once in Austria. Also they have tied with Wales twice and this is a key indicator of the White Eagles` strength. Perhaps, this team has not strong defensive line, where there are no high-level performers besides Kolarov, and the goalkeeper’s position is questionable also, but the Serbs compensate for this lack by discipline and orchestrated actions. On the plus side, Serbia has a striking power in the person of ‘Englishmen’ from Southampton, Manchester United, Crystal Palace and Fulham, which can upset any defence. The Serbs are a real dark horse and can both easily fail this tournament and make a noise. Let us make a bold speculation that they will beat Costa Rica and take one point with Switzerland, but lost to the Brazilians and the Swiss will go through by the better goal difference. Betting Tip: Group E. 3rd place: Serbia @ 3.20 Bet now! In the 21st century, Germany permanently played in the World Cup semi-finals, and although ‘DFB Eleven’ are inferior to the Brazilians by the number of titles, no team played in the finals more than Germans. The stability of this team’s performances is amazing! Just think about it – since 1938 Germany played in 16 World Cups and only four times failed to get into the Top 4! In Russia, the Bundesteam is one of the favourites for a gold medal once again and we would be surprised if someone took this ‘killing machine’ less seriously. At the same time, this is not to say that the Germans bring in Russia the strongest squad in the world. 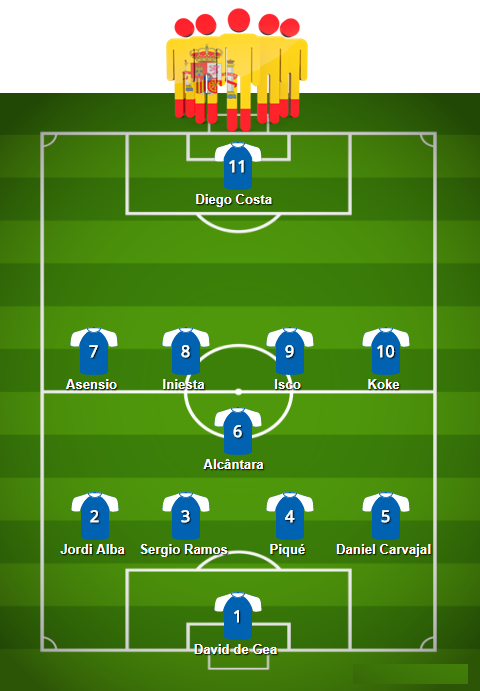 Of course, this team has many world-class stars, but if you look at their offensive line, it is significantly poorer in comparison with other tournament’s favourites. In general, ‘DFB Eleven’ has clearly weaker squad than the Brazilians, Argentines, Spaniards or even the French, however, no one will be surprised if Germany will play in the semi-final as always, while one of the above star teams will pack their bags! When you are trying to predict this team’s result, remember the words of the legendary Gary Lineker: “Football is a simple game. Twenty-two men chase a ball for 90 minutes and at the end, the Germans always win.” The German machine is able to win all three games of the group stage with minimal efforts. Betting Tip: Group E: Germany Over 6.5 Points @ 1.58 Bet now! Mexico can be called the most stable team in the World Cups, because the Tricolor always progressed from the group in the last six tournaments, but lost in the 1/8 finals. What can change this year in Russia? Probably, this series should be interrupted and it is unlikely that we will see the Mexicans in the quarterfinals. It goes without saying that Germany is a clear favourite of this quartet and South Korea is an outsider. It follows that everything will depend on face-to-face meeting between Mexico and Sweden, however, if they get a tie, the second will be a team with better goal difference. In this scenario, the chances of the Blue-Yellow seem to be higher. Mexico plays with Germany in the first game, when the favourite will be aimed only at three points. Beating the Mexicans, the Bundesteam will be enough to beat the Koreans in the last game, which gives some hopes for the Swedes in the second round. Moreover, they play later than the Mexicans, and will already know how many points the Tricolor got after two games. Such small advantages can play an important role, so Mexico will become only the third. Betting Tip: Group F. 3rd place: Mexico @ 3.00 Bet now! 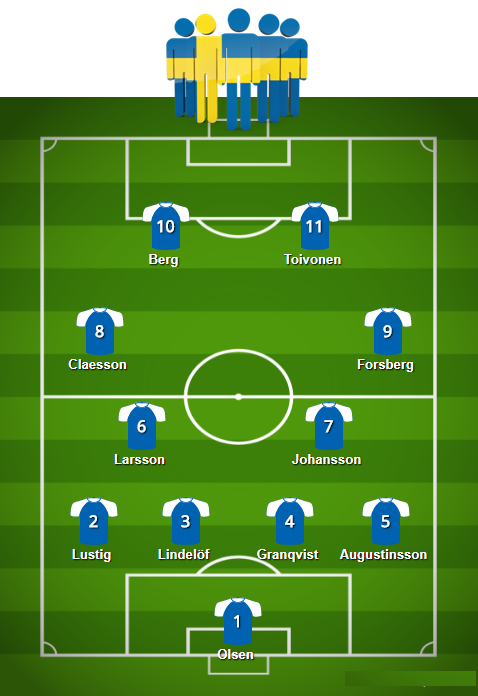 Looking at the squad of the Swedish team, hard to believe that the Blue-Yellow is capable to cope with big challenges, however, their performance in the qualification suggests the opposite. The team left behind the Netherlands, and then, in the play-offs, did not leave any chance for Italy. Sweden looks dangerous, but unpredictable, the Three Crowns managed to beat France in qualifying, while losing to weak Bulgaria… Poor attacking line is immediately apparent, so probably the Swedes will bet on defensive football, so they will become unfavorable rivals for Korea and Mexico. Sure thing, it is mission impossible to get points against Germany, but to achieve a positive result with the main competitor and beat the Koreans is not beyond northerners` abilities. Betting Tip: Group F Outrights – Sweden To Qualify @ 2.38 Bet now! Betting Tip: Group F: South Korea Under 2.5 Points @ 1.79 Bet now! 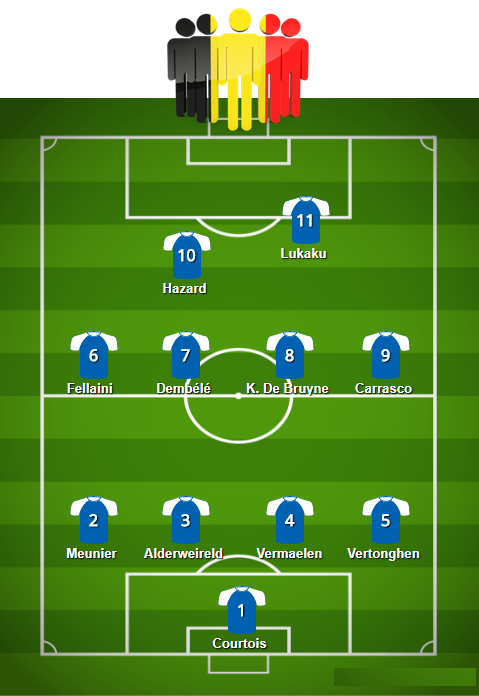 The golden generation of Belgians are not getting any younger and this World Cup can be the last for many team`s leaders, at least they will not meet the next tournament in their prime. Time goes by, and the Red Devils are still without titles and even without roaring successes. How many more years will the Belgian football have to wait for a generation of such talented players? Perhaps a trip to Russia is the last chance to write their names into history. In 2016, the team easily reached the quarterfinals in Euros, but then the Welsh Dragons simply destroyed the Belgium. Two years before, at the previous World Cup, the Belgians had hardly passed USA in extra time, but again in the quarterfinals, stumbled over Argentina, which won 1-0 thanks to Higuain’s goal in the first minutes. It is hard to say how things will go in the playoffs, but troubles at the group stage are not expected. Belgium will win the first two games, securing Round of 16, and probably a draw in the last match against England that both teams can live with. Betting Tip: Group G: Belgium Over 6.5 Points @ 1.88 Bet now! Panama for the first time in its history qualified for the World Cup and this fact alone is enough to feel like the winners. The Canal Men are obvious outsiders of Group G and the only game in which they can claim points is a game with Tunisia. We can say that Panama is a chance-comer in Russia, because this team owes their success not to their strong performance in qualifying, but rather to the failure of the US team. The Canal Men took third place in qualifying after Costa Rica and Mexico, while winning only 3 of 10 games with a negative goal difference ahead of their main competitors by only one point. Theare are only a few players from Liga Panameña de Fútbol, other performers played in MLS or average South American clubs. 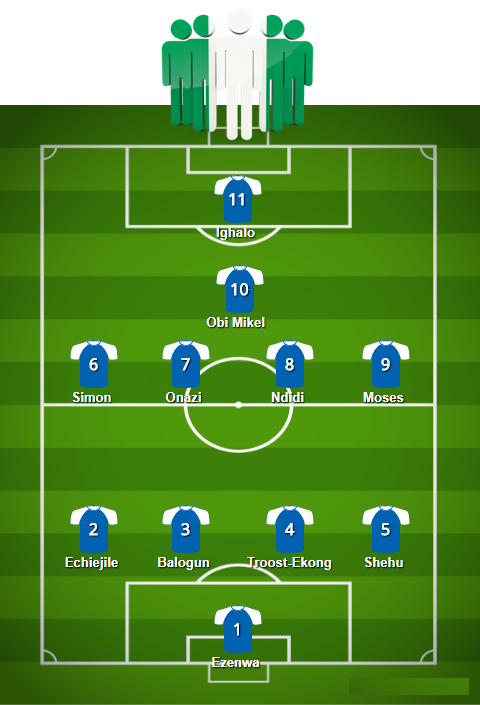 Only three footballers played in Europe, but career in such clubs as Dinamo Bucharest, 1904 DAC and Ghent II hardly suggest their silky skills… The only chance to take points is a draw with the Africans team. Betting Tip: Group G: Panama Under 1.5 Points @ 1.78 Bet now! In 1978, Tunisia became the first African national team that won at the World Cups. Surprisingly, the Eagles of Carthage defeated Mexico (3-1) in their first game in tournament and since then has not been able to win a single game in the history! Tunisia took part in four World Cups and managed to ensure only four more draws during this time. In Russia, Africans have excellent chances to win their second game, and it is certainly about a match against Panama. As for the prospects of reaching Round of 16, they just simply do not have it. Despite the fact that Tunisia confidently won their group in the qualification, having not suffered a single defeat, the team`s squad seems weak. We can say that Tunisia is amalgamation of youthfulness and experience, but that is the point: all experienced performers play in the Saudi Arabia or Tunisian Championships, and their rising generation, which represented mainly by French Legue 1, simply do not have any game practice in their clubs. Thus, to beat Panama is the best thing that the Eagles of Carthage could do. Betting Tip: Group G. 3rd place: Tunisia @ 1.95 Bet now! For a long time the Three Lions have not pleased their fans with successful performances at the World Cups, the last semifinals was back in 1990. At previous World Cup in Brazil, England has shocked the world with the last place in the group without even having been able to win one game. The British always demonstrates a terrific football in the qualification, but then frustrated over and over again. For example, they have won all the games in the qualification for Euros 2016, having conceded only in two out of ten matches. In qualifying for this World Cup, the Three Lions were without peers, having won all the matches, not counting two draws. And again, England demonstrated a stunning football in defence, conceding only in two games. Despite the fact that this team`s main stars are attacking players, Gareth Southgate should prefer a precautionary approach and defensive football so his team has every chance to keep a clean sheet in the first games – neither Panama, nor Tunisia do not look capable to find the net in the games against such leakproof defense. The last clash vs Belgium might be amerely a formality, which means that we will not see any struggle and many goals. Betting Tip: Total Group Goals Scored England – Under 2.5 @ 1.70 Bet now! The bookmakers consider Colombians to be favorites of Group H, however, many reasons offer grounds for doubting that fact. Certainly, the Coffee Growers` squad is impressive with big names, but Poland look more balanced and disciplined now. In addition, the White Eagles have awesome forward line and win in the game against arch-rival can be achieved through their high-powered offense. Group H can be surprising, because we can write off only the Japanese. Most likely, everything will be decided in the last round and here the advantage is on the Polish side as they will fight with the Samurai Blue. Poland impressed with its aggresive football in qualifying, scoring two or more goals in all games except one, and looks like a favorite of this quartet. Betting Tip: Group H Winner – Poland @ 2.75 Bet now! Like any African team at the World Cup, Senegal is a dark horse that can present many surprises. You only have to look at their squad to understand that these guys should not be underestimated – most of starting XI is an ‘English contingent’, and let most performers are not in the first roles in their clubs, it means nothing – they have gone through the English Premier League and have a huge an experience. Players from Serie A and Ligue 1 can also guarantee problems for their rivals. Senegal forward line with Sadio Mané, Moussa Sow and Mame Biram Diouf looks extremely dangerous. Senegal begins with Poland and foremost priority will be not to lose to the potential leader of the group, and there is no way to do this without scored goals, because it is impossible to keep a clean sheet against the White Eagles. Then there will be Japan, which the Lions of Teranga need to beat with a big score to improve their goal difference. The last game versus Colombia, regardless of previous results, should be hot! Senegal scored a lot in the qualification, most likely, in Russia we will see an atypical for the African national teams productive football. Betting Tip: Total Group Goals Scored Senegal – Over 3.5 @ 2.30 Bet now! 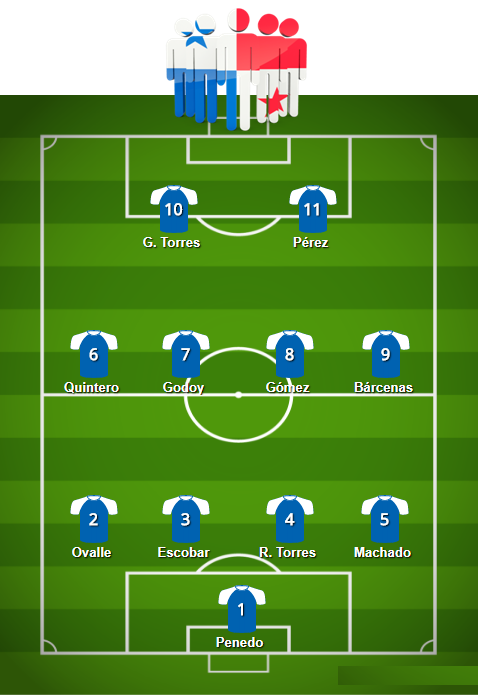 The Tricolors has strong performer in every line, however, their squad is not what you would call balanced… There is Zapata in defence, but his assistants are not impressed, Hames Rodriguez will shine in mid-field, but he will not get solid support, the forward line is solid and Falcao is world-class star, however, the rest of the performers are hardly stronger than Senegal has. At the same time, the Coffee Growers did not look at all powerful in the attack in qualifying, having scored just two goals more than outsiders of the group. It is unlikely that Colombia can be called a clear favorite in the clash with the Poles, and the last game against Senegal would be nothing like a picnic. Of course, the Coffee Growers are favorites on paper, but let us remember how they played in the WC qualification! In games against the best five teams of South America, the Colombians were able to beat only weak Peru, taking their points in the games with obvious outsiders, that is saying something. Let us make a bold assumption that Colombia will fail the group stage and become only the third. Betting Tip: Group H. 3rd place: Colombia @ 4.65 Bet now! Japan won their group in WC qualifying with just one point ahead of Saudi Arabia and Australia, losing only two games (the first and the last, which did not mean anything). Despite such successful result, the Samurai Blue was not impressed with their football. Let friendly games on the eve of a trip to Russia mean little, however, the team frankly failed them. The line of attack left considerable doubt, because Keisuke Honda is old, and ‘German contingent’ of forwards from Stuttgart, Mainz 05, Cologne and Fortuna Dusseldorf could hardly be effective against solid defence of Poles or Senegalese. The change of head coach in April right before the start of the World Cup is cause for concern also. Samurai look like outsiders and it is unclear how they can beat any opponent in Group H. Given their rivals` strength, every team will bet on taking three points against Japan, because whoever makes a misfire in game with Japan, they practically lose the chance of success. Betting Tip: Group H – Finish Bottom – Japan @ 2.25 Bet now!